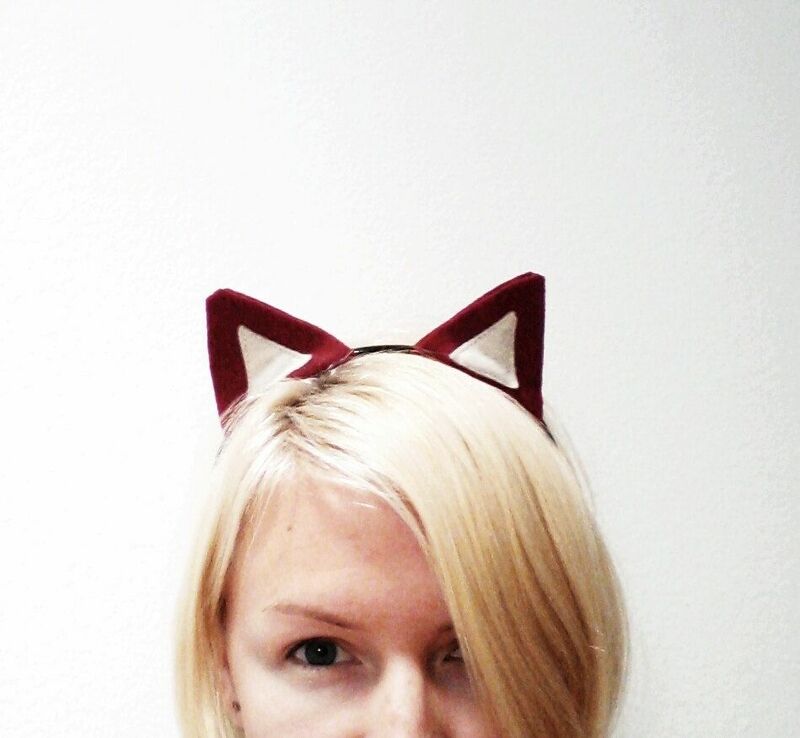 Hand cut fox ears made from burgundy red eco friendly felt and attached to a new thin black headband, ear centers are machine stitched with contrast off white felt. Headband measures about 1/2 inch wide, and 15 inches around. 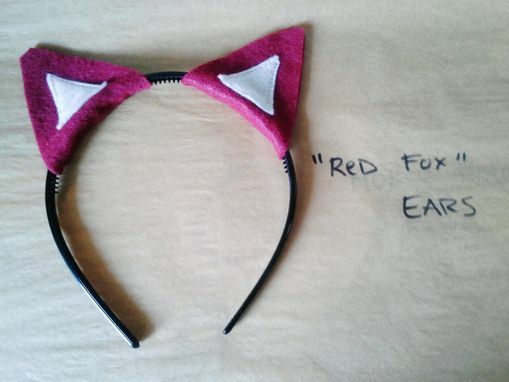 Ears measure about 2 inches tall and about 2.5 inches wide. One size fits most ages 2 years through adult.